Located a short 17 mile drive from the town of Quincy, California is Bucks Lake. 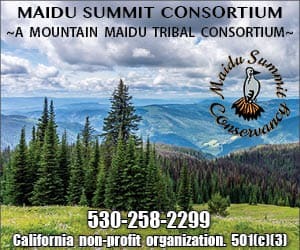 Bucks lies in a beautiful granite basin surrounded by tall evergreens at 5200 feet, and has often been referred to as the centerpiece of recreation in Central Plumas County. The dam was completed in 1928, transforming the lush Bucks Valley into the present day Bucks Lake and bringing it into what is now P.G.&E.’s California Hydro-electric Project. The lake itself has 14 miles of shoreline and roughly 1800 surface acres and is fed by five tributaries, which keep the average water temperatures cool and perfect for trout. Most of the lake’s northern shoreline is surrounded by wilderness and scenic views, while the southern side of the lake is dotted with cabins located on P.G.&E. and Forest Service leased land. This is also where you will find most of the services. Bucks Lake has just the right amount of services available to travelers, families and fishermen alike. There are several lodges at the lake offering cabin rentals, motel rooms, restaurants and supplies. Two marinas offer docks, fuel, boat rentals, and other services to the boater and fisherman. There is also a quaint bed and breakfast/ store built on the site of a historic resort from Bucks Lake’s past. These businesses are all small family owned affairs and you can expect service that reflects that. If camping is more your style; there are a variety of campgrounds, both public and private, that are on or near the lake. Bucks Lake offers year round recreation with cross country skiing, snow shoeing and snowmobiling being the most popular in winter. During the summer months, it is a popular spot for hiking, mountain biking, boating and of course fishing. Despite its popularity, it never really seems crowded. It is not uncommon at peak season to only see several other boats out in the early morning fishing. 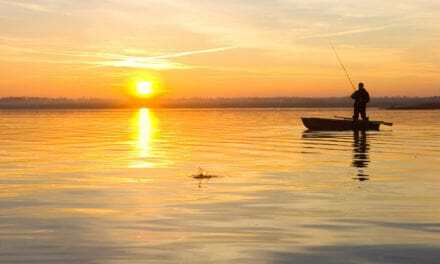 The peak season at the lake runs from Memorial Day weekend until Labor Day, but savvy fishermen know that some of the best action happens in spring and fall. Fishing is probably the most common reason people venture to Bucks Lake. 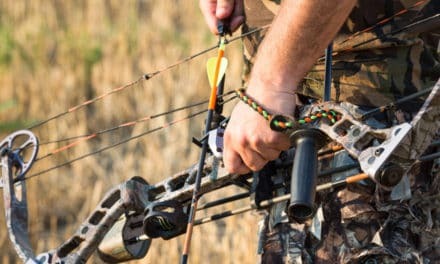 With five species of sport fish waiting to be caught; at Bucks something is always biting. Bucks Lake has always been known as a solid fishery for both Browns and Rainbows and many historical accounts often refer to both good quality and quantity. In the last 10 to 15 years Bucks has also been making a name for itself with the trophy Mackinaw that have been caught. Mackinaw or Lake Trout (actually, like Brook Trout, not even a trout but a member of the Char family) are probably most well know as the sport fish of Lake Tahoe. They also inhabit a number of Sierra lakes. 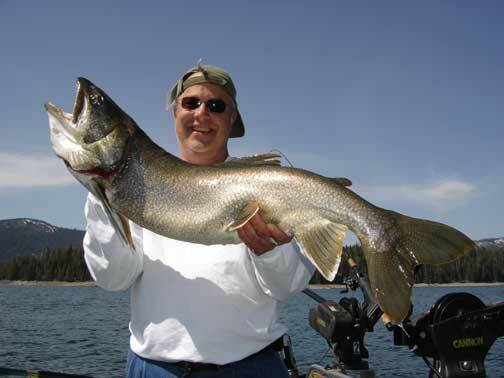 Mackinaw can grow to very large size (as evidenced by the Bucks Lake record of 30 pounds) if the right conditions exist, and one of the biggest factors is food. These fish require large amounts of food to support their metabolism, which brings me to another of the five species found in the lake- Kokanee. Kokanee, which are freshwater Sockeye Salmon, were originally planted into Bucks Lake in the 1950’s and found the lake’s conditions to their liking. The Kokanee population at Bucks exploded despite efforts to reduce their numbers and now can be seen each fall in large numbers spawning in Bucks Creek. In addition to providing the Mackinaw with a meal, they also have become a favorite target of many anglers, providing a great battle for their size as well as excellent table fare. Brook Trout, the last of the five species, provide great action all summer long. Most of the time these fish are found at or near the mouth of the lake’s tributaries taking advantage of the cool water entering the lake. Shoreline access for anglers is abundant and literally surrounds the lake. Access can range from spots that can be driven to or are reached by short walks. The most common technique employed by shore based anglers at Bucks is bait fishing. Bait such as night crawlers, power bait, and salmon eggs are the most used. Casting lures from shore can also produce fish. Classic lures like Kastmasters, spinners and small Rapalas are some of the favorites. Most of the fish taken by “bankies” are Browns, Bows, or Brookies. Boat fishing at Bucks is both popular and productive. Bait fishing often occurs in the same areas as the bank fishing but a boat offers the angler access to much more water. Most boats seen on the lake will be trolling. Trolling is one method that can consistently produce all five species of fish just by changing tackle, depth and location. Many types of tackle will produce trout from flasher/worm combos to hardware like spoons and spinners in a variety of colors. In order for me to diagram the tackle used to catch Kokanee I would need a lot more space than the editors are willing to grant me. Brightly colored lures, dodgers and spinners are at the foundation of any Kokanee box. To single out a few that seem to work best at Bucks; I would say color combinations of watermelon and pink are consistently good. (Always tipped with corn) Most of the Mackinaw caught each year at Bucks Lake fall to boat fishermen. Trolling large lures that resemble Kokanee or other fish is very productive. Vertical jigging is another method used to trigger stubborn Mackinaw to strike, and works well during the summer months when fish are hugging the bottom. While Bucks holds good numbers of trophy Mackinaw, they are not the easiest fish to catch and are very temperamental. Small fluctuations in water levels, temperatures and the weather can turn their bite on and off like the flipping of a switch. The prime time for the “Macs” is early season, just after ice out, through June. Fly-fishing can also be very exciting at Bucks. Casting small wet flies during spring and summer near the mouths of the tributaries will usually produce fish. If you have a tube or small boat, even better; this will increase your opportunities. In Fall, float tubes are king. Every year during the late season fly anglers in tubes account for some of the nicest fish caught on the lake. Note: There are two roads that lead to Bucks Lake from the Quincy side. Just after the town of Meadow Valley the road splits, to the right, Bucks Lake Road climbs quickly, wrapping you through a series of sharp narrow corners to the top at Bucks Summit and is not recommended for RV and larger boats and trailers. To the left, you will find Big Creek Road which is longer but a much more gentle grade and wider roadway. From the west, Bucks Lake can be accessed via the Quincy-Oro Highway, a two lane road leaving the town of Oroville. This road was once very steep and narrow, but in recent years much work has been done, and it is now a nice drive and easily accessible with RVs and trailers. One word of caution; because none of these roads are maintained during winter past certain points, it is wise to check with local authorities as to their status before heading up, especially early and late in the season. Usually the first springtime access to the lake will occur from the Quincy side, followed later by the Oroville side. Capt. Bryan Roccucci is a full time professional fishing guide and operator of Big Daddy’s Guide Service. 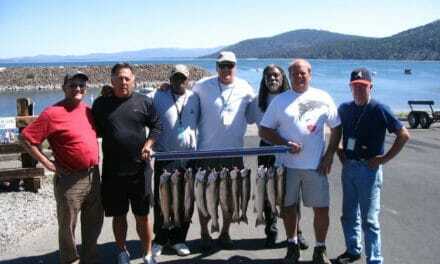 Bryan specializes in year round trophy trout fishing while emphasizing light tackle fishing techniques on Lake Almanor (Jan.-May), Lake Davis (May), Bucks Lake (May – Sept.), Lake Tahoe (June – Sept.) and Eagle Lake (Sept. – Dec.) To book a trip on Bucks Lake or any of the other waters fished by Bryan or for more information please visit www.bigdaddyfishing.com or call (530) 283-4103.